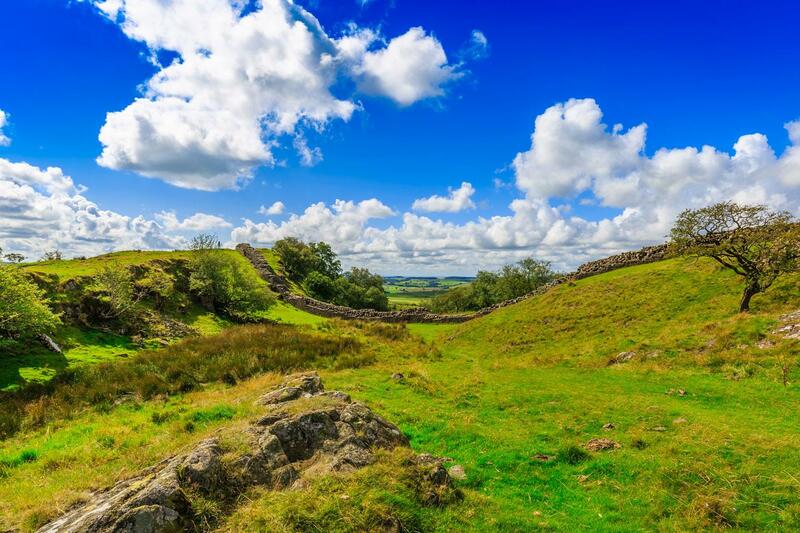 Immerse yourself in history with a Hadrian's wall walking holiday, a fascinating and rewarding walk in England, from coast to coast alongside one of Britain’s iconic landmarks. 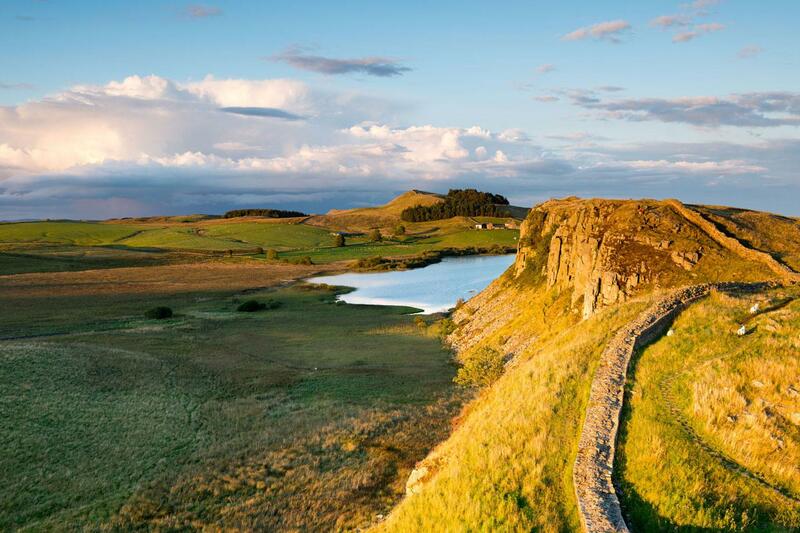 Hadrian’s Wall is Europe’s largest surviving Roman monument and a UNESCO World Heritage Site. 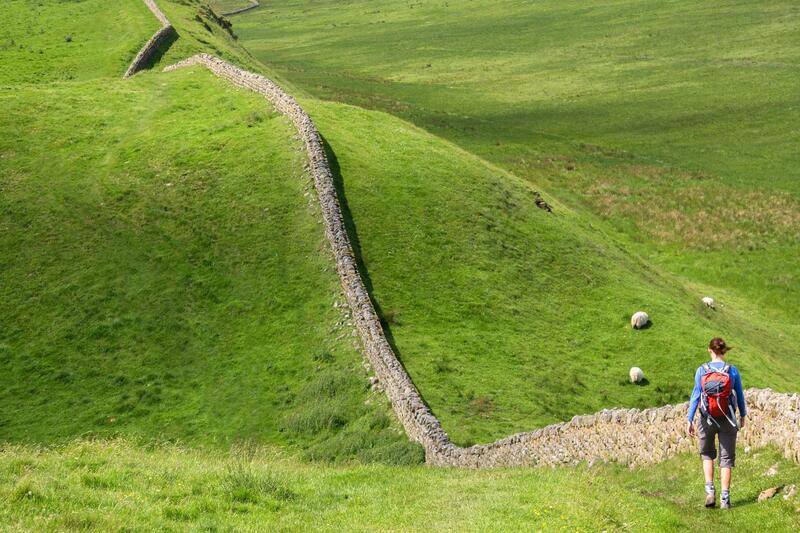 Opened in 2003, the Hadrian’s Wall Path follows the course of the Roman barrier closely along its entire length. 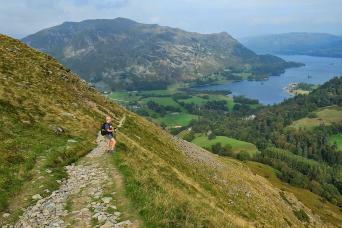 It is one of Britain’s most popular long-distance walks, and one of our most popular walking holidays. 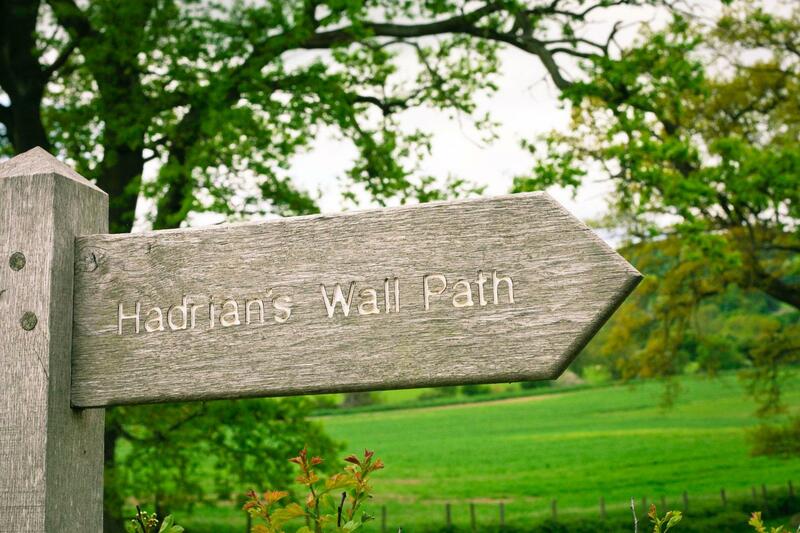 Hadrian's Wall Path is extremely well waymarked, making it simple to follow and allowing you more time to relax and soak it in. 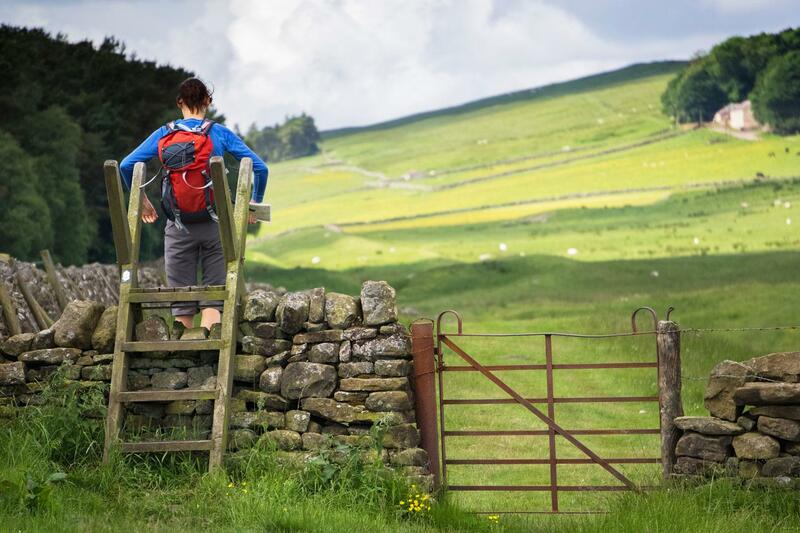 Walk through some of the wildest and most beautiful scenery in England and enjoy regular viewings of forts, milecastles, turrets, museums and visitor centres all along the wall, assisting you in your journey of discovery. As a Hadrian's Wall specialist, we offer a wide selection of itineraries ranging from 5 to 11 days. The Segedunum Roman Fort and Museum is the official start point and is well worth visiting, to arm you with all the Hadrian's Wall knowledge you will need. The path follows the River Tyne for most of this section and gives a real insight into the industrial history of Newcastle and the ongoing regeneration of this vibrant city. This is where you begin to really leave the city and its urban features. After leaving the river the path climbs gently past the golf course and up the hill to Heddon. This small town has a couple of local pubs and facilities include a post office and small shop. Heddon has limited overnight accommodation so you may be staying in Wylam or slightly outside the village. From Heddon you join the Roman Road and begin to see ever more frequent signs of the wall itself. After a couple of miles, you pass the Vindolanda Roman Fort and then negotiate a few small climbs. Harlow hill is a small hamlet and two miles further on is East Wallhouses - home to Robin Hood’s Inn, a fantastic old pub, which you may like to try for dinner. From East Wallhouses the path follows the old military road (now B6318) and the wall for most of the way to Chollerford, passing through the beautiful rolling countryside of Northumberland. The Errington Arms, close to Portgate, is a great pub and a pleasant stop for an early lunch. After Portgate you climb to the highpoint of Whittington Fell and continue to follow the military road down to Brunton. You then walk to Chollerford, which is home to a lovely bridge and the extensive Chesters Fort. You start the day by passing Chesters Museum, an important site on the wall, and then ascending to Tower Tye, again following the Roman Road. You will soon be entering the most spectacular sections of the wall, so keep your camera handy. Part company with the wall after Shield and enjoy a lovely journey through rugged countryside and a host of Roman ruins and forts. This section ends at Steel Rigg Peel Crags, a short walk from the hamlet of Once Brewed. 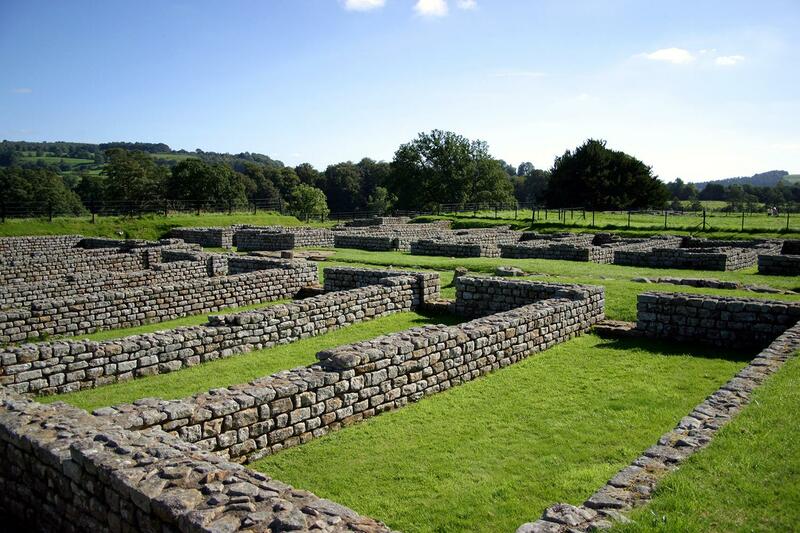 Here, there is an information centre and nearby the Vindolanda Fort complex is one of the highlights of your trip. 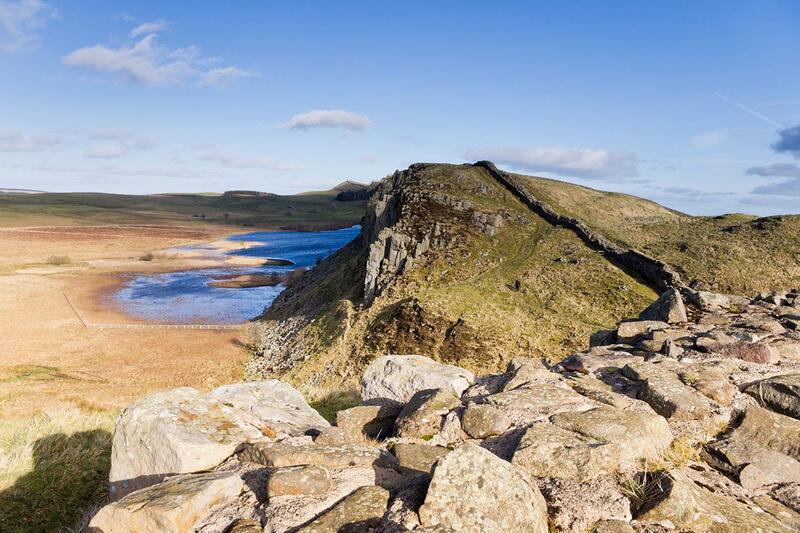 This section begins with a climb to the top of Winshields Crags, which is the highest point of the trail, but you will be compensated by stunning views in every direction. One of the most strenuous sections of the walk, but very rewarding due to the quality of the walls remains here. You will then walk on to Gilsland. This village has a local pub which serves a well-earned pint and dinner. From Gilsland the path follows a fantastic section of consolidated wall to Birdoswald. It then continues up the hill to Banks and through rugged farmland to Newtown. This is a very pleasant section of walking after the rigours of the past few sections. There is limited accommodation in Newtown so usually, you will be accommodated in Brampton, which is the neighbouring town. As the wall was predominantly dirt and turf in this section there is very little evidence on the wall remaining but this is still a lovely section of rural countryside and gives you time to reflect before entering the hustle and bustle of Carlisle. Carlisle is a large town and has all the facilities you may have been missing over the past couple of days. The magnificent Castle, cathedral and the Tullie House Museum are all well worth a visit if you have any spare time. After following the River Eden out of Carlisle the route passes through Burgh by Sands and then follows the quiet road to Port Carlisle and Bowness-on-Solway. This area is regarded as an “Area of Outstanding Natural Beauty” and the birdlife is prolific. 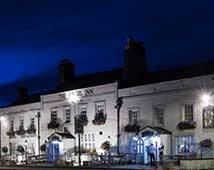 The Kings Arms in Bowness is a great location for a celebratory drink and contemplation of your achievement. Please note that if you choose the 10 or 11 day or "Best of" Itineraries and you are staying in Corbridge overnight, this town is 2.7 miles from the Hadrian’s Wall Path, but this mileage is included above. It is also possible to take a taxi, but then you will only be walking about 7 miles on this day. 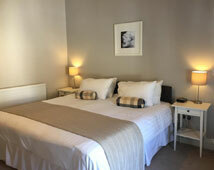 Overnight in B&B’s, small hotels and guesthouses, specifically chosen to ensure that you enjoy every minute of your stay. They all offer a warm welcome to walkers and traditional hospitality. The first day’s walk to Heddon (or beyond) is one of the longer walks so many of our walkers choose to arrive early in Newcastle, drop their bags at their accommodation in Newcastle and then enjoy the 5 mile (2.5 hour) walk to Tyne Bridge that afternoon, returning by metro to Wallsend and starting again from Tyne Bridge in the following morning. If you would like to do this please let us know when you book. Please note that Bowness has limited accommodation and transport links so many walkers choose to finish the last days walk in Bowness and then catch the bus back to Carlisle that afternoon, ready for the journey home the next day. Just let us know at the time of booking if you would prefer this option. We will always try and accommodate you at the locations detailed in the tour itinerary. Occasionally, because of limited availability we may have to accommodate you into alternative accommodations which are not listed in the description. If those listed are unavailable the alternative accommodation will be of the same or better standard than those described. 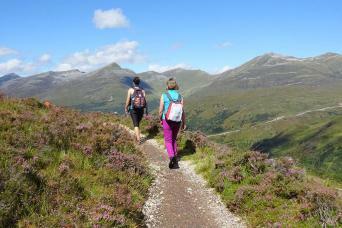 This tour is available to solo walkers, although a supplement is payable. If you require single rooms within your party we would be happy to accommodate your request, although it is not generally possible to secure more than three single rooms in a party. A single supplement is also payable. A hearty breakfast is included each morning. Most hotels and B&B’s offer a continental and full cooked breakfast, which should keep you going for hours. Lunch and dinner are not included so you are free to choose from the available options. Most of your accommodations will be more than happy to provide a packed lunch on request and this can be booked on arrival. 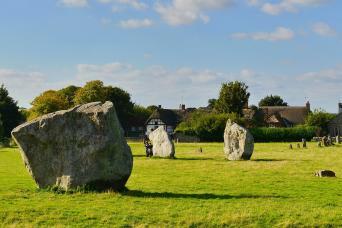 Alternatively your guide book includes details of local pubs and convenient lunch stops on the way. Dinner is available either at your accommodation or nearby pubs and restaurants. This property is a pleasant country home located near the centre of Wylam and John and Angela Craven ensure you of a warm welcome and comfortable stay at Wormald. The Angel has been a coaching inn dating back to 1752, but is now famed for its local food and ales, real fires and traditional rooms with all modern conveniences. A great atmosphere and a good nights sleep are the highest priority. Set in the heart of the Northumberland National Park, next to Hadrians Wall and on the Pennine Way, Vallum Lodge provides comfortable, quality cottage style accommodation where you can truly relax after a memorable day sightseeing or walking. 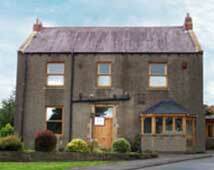 Willowford Farm offers Bed and Breakfast accommodation and home-cooked food on a working farm. 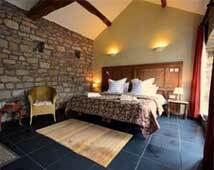 The Scotch Arms Mews was originally an inn and is now a very lovely B&B with 10 rooms. The guest rooms have all the original features of the building and there is a cosy guest lounge, with free Wi-Fi throughout. 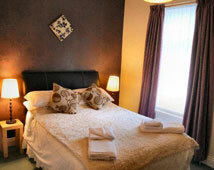 Howard Lodge is a friendly family run Victorian Guest House where walkers are always welcome. With a wonderful welcome and friendly hosts, you will feel right at home at Howard Lodge. 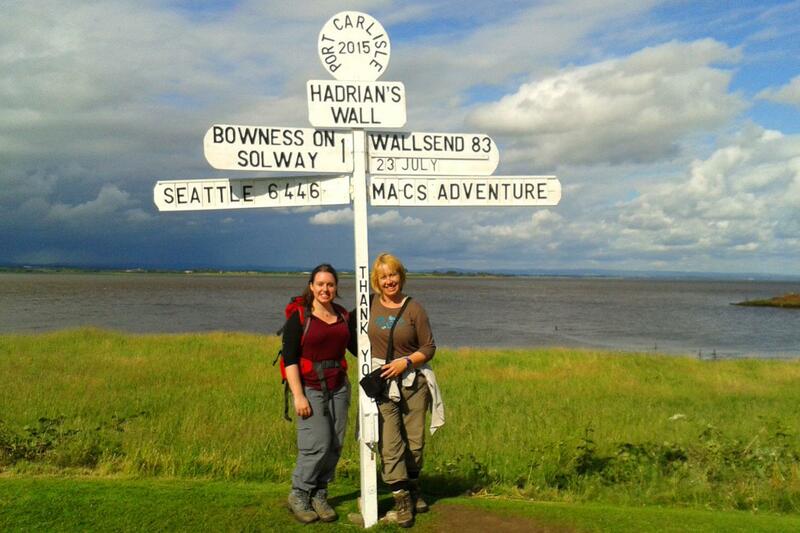 You can start your Hadrian’s Wall Walk anytime between April and the beginning of October. Due to the Great North Run, Newcastle and surrounding areas are full from the 8th - 11th September 2019. In addition to this there are also European Rugby Cup Championship Games in Newcastle on May 10th, 11th and 18th, 2019. Please try to avoid staying in Newcastle during these dates when you are requesting your booking dates. You can begin this long distance walk anytime between March and October, although the longer itineraries are limited to beginning at the start of October due to the luggage transfer companies and when they stop at the end of the year. Between these dates, the weather can be vastly different, from rain to wind to glorious days of sunshine. Please come prepared for walking in rain or shine. This tour is graded anywhere between easy to moderate and strenuous, depending on which itinerary you choose. It is most suited for those walkers with previous long distance experience. The route is a mixture of paths, tracks and minor roads. Some of the paths can become very muddy and boggy and negotiating this terrain can be slow-going at times. Please read the Hadrian's Wall Code of Respect in your guidebook, which gives guidelines as to how to care for the natural environment for this UNESCO World Heritage Site. Although this route is well waymarked and much of it follows a well laid out path (and we provide you with a guidebook and a map), it is always highly recommended that you are a competent navigator, especially if the weather takes a turn for the worst. Please note that the luggage transfer provider may charge extra if your bag weighs more than the 15kg limit. This fee would have to be paid locally. The distances and ascent/descents are approximations of the recommended routes. Please be prepared by packing all necessary items, for example, proper rain gear (jacket and pants), sun hat, sunscreen etc. Your information pack has a detailed equipment list which includes standard walking gear such as good walk boots, warm and waterproof clothes for the cooler months and lightweight clothing for summer, and a daypack. Newcastle is a major transport hub in the northeast of England and has excellent rail, road and air links from both Scotland and the South of England. It also has an airport which serves many carriers. You can take flights to and from London, and there is also a direct flight (at the time of writing this) from New York City on United Airlines. There is also a train station. For more information on public transportation please visit the Traveline website. Local bus and taxi services connect to Carlisle from where there are excellent transport links from both Scotland and the south of England. Again you can check the Traveline website for more information. You can also check the National Rail website. If you wish to return to Newcastle there are direct trains departing from Carlisle approximately every hour and the journey time is about 1H 40. Please note that there are NO buses from Bowness-on-Solway to Carlisle on Sundays, so try to plan your tour so that it doesn't finish in Bowness on a Sunday. Our 'Best Of'’ itineraries all start in Corbridge, which is easily accessible by train from Newcastle. Trains run approximately every half an hour and the journey can take anywhere between 30 minutes to 1 hour, depending on if they are direct or not. Our 'Best Of' itineraries either finish in Gilsland, Brampton or Carlisle. From Gilsland you can take a local taxi to Haltwhistle and catch a train from here to Corbridge/Newcastle. The trains are every hour. Or if you want to travel onwards via Carlisle you can take a local taxi from Gilsland to Brampton. From there, catch a train or bus to Carlisle. The 685 bus leaves from the centre of Brampton every hour. If you are getting the train from Brampton please be aware that the station is approximately 2.5miles from the centre of the town along a country road (there is a safe path to walk along). The trains from Brampton are almost every two hours. On Sundays, the train services are less frequent and the bus services only run a few times per day on Sundays and Bank Holidays. All public transport information may be found on the Traveline or Trainline websites. If you want to take advantage of the AD122, the Hadrian’s Wall bus in order to see extra sights, or perhaps have a non-walking day, please check out the information on the Hadrian’s Wall website. It is possible to download a timetable which you may then carry with you. Please don’t hesitate to contact us or perhaps visit our blog for more advice from our clients and team. 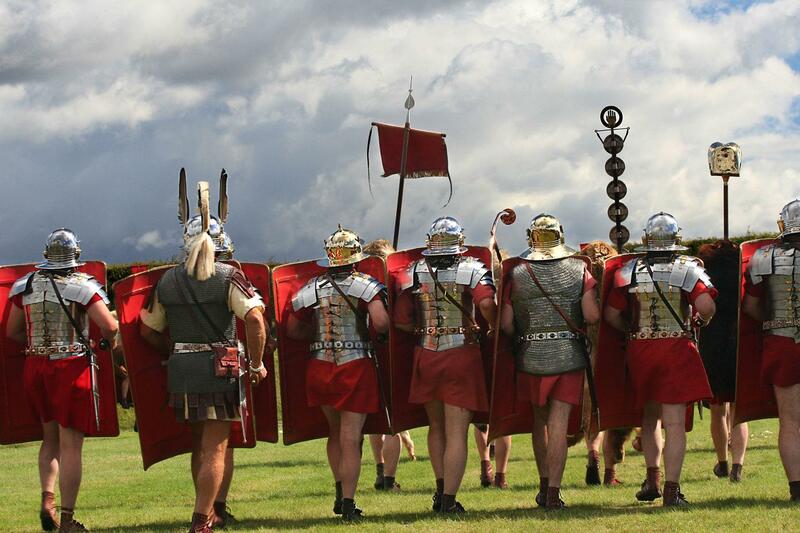 We suggest you book as soon as know your plans as Hadrian's Wall is extremely popular especially over April/May and July/August. We offer a range of itineraries so you can choose your preferred daily distance and hopefully you will find an itinerary that suits your level of fitness. If you currently don’t enjoy an active lifestyle, we suggest regular walking in hilly terrain supplemented by cardiovascular exercise for at least six months before your walk. Your bags will be transferred from your accommodation as per your itinerary and moved onto the next overnight location. Just leave them in the reception area of your accommodation, and they will be collected while you are out walking and delivered for your arrival. We ask you to limit your luggage to one bag of 15kgs per person. How do I get to the starting point of the walk? Option One: Two Trains | Travel Time: 1hr approx. The Green Line runs directly from Newcastle Airport into the Centre of Newcastle. You would get off at Monument station and transfer to the yellow line at the same station. You would then ride the Yellow Line for approximately 10 minutes until you reach the Wallsend station. From the station walk to the Segedunum Roman Fort and Museum, the official start of the Hadrian’s Wall Walk. Option Two: Trian and Bus | Travel Time: 1hr approx. Firstly, take the Green Line from Newcastle Airport towards the Centre of Newcastle alighting at Monument station. Walk to Monument Market Street and catch the Blue Arrow 11 Bus towards Whitley Bay. Alight at High Street East and walk to the Segedunum Roman Fort and Museum, the official start of the Hadrian’s Wall Walk. There are variations on these journeys, for example, another bus (Cobalt Clipper 309) will also take you to the Wallsend area. However, these two are more direct routes. What can I do if I can’t walk? If you want to take advantage of the AD122, the Hadrian’s Wall bus to see other sights, or perhaps have a non-walking day, please check out the information on the Hadrian’s Wall website. It is possible to download a timetable which you may then carry with you. I don’t want to walk 15 miles on my first day, what can I do? If you arrive in Newcastle early, you may like to walk the first 5 miles today, reducing your walking for the second day. Arrive at the Segedunum Roman Fort, where the walk officially begins. Perhaps spend some time in the museum before heading out along the trail. On reaching the Millennium Bridge, you will have walked almost 5 miles and can either chose to continue or take the nearby bus and train links to your hotel. The next morning you can start here and enjoy a shorter day. Walking from East to West is the most popular option as reflected by the above itineraries and also the guidebook we provide is written in this direction. However, we can offer itineraries walking in the reverse direction, from West to East, if you would prefer. Just select the West to East option when booking online or ask your Destination & Adventure Specialist. You will need good walking shoes/boots (ideally waterproof), comfortable walking clothes, waterproof jacket and trousers, a day pack and hats/gloves etc. 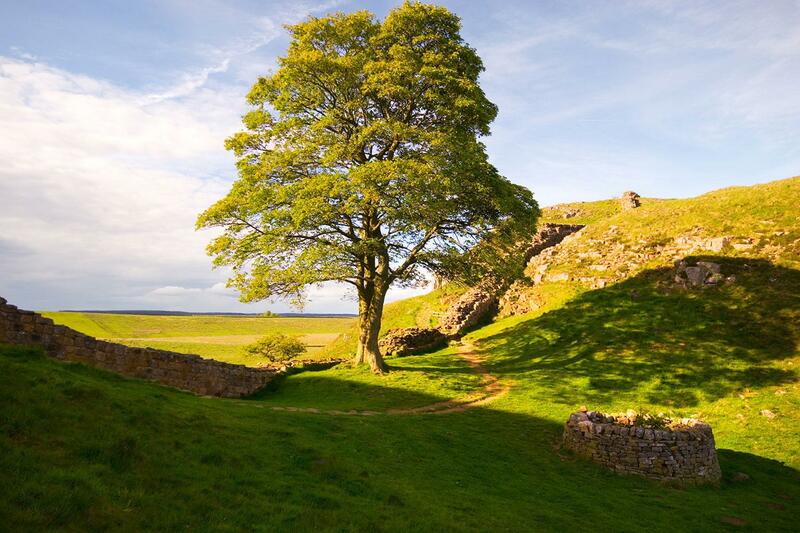 The Hadrian's Wall Walk is offered anytime between March and October. The weather can be variable whenever you decide to go since the wall is in northern England and the weather is often unpredictable! You can use public transport, the Hadrian's Wall bus or local taxis to continue to your next overnight stop. Fascinating walk that covered many miles and much Roman history. Arrangements, accommodations and hosts were wonderful. Baggage transfer went without a hitch. I might have chosen a different trip if I had understood how strong the prevailing winds from the west were during the middle three to four days of the walk. We walked into high winds with 30-40mph gusts, which made the climbing and forward progress very challenging on those days, especially with the climbing needed. I would like to see Mac's offer a west-to-east version of this walk. The furnished Mac's maps were adequate, but we made more use of Ordinance Survey maps, which had more detail on paths, ruins etc. Downloading them both to our phones prior to each day's walk was extremely helpful. This is a great walk, with the most spectacular days being the middle two where you hike through Northumberland National Park and up and down the crags. The accommodation was wonderful and we felt very welcome in people's homes. Only suggestion is that the maps could be improved - you need to juggle maps, app and Hadrian's Wall book in order to get the picture. Also, walking 15 miles per day does not allow much time to visit the Roman museums and forts en route. Our trip went off without a hitch. It was perfect and we will have these memories for a lifetime. The arrangements by Macs Adventure were well done, well selected and organized. We were provided with enough information to know how to get around local areas, what to pack, where to look for museums and other activities that would enhance our experience. Most of all, the travel consultant we worked with was very patient with our questions. All the accommodations were comfortable, clean and cozy after long days of walking. History buffs need more planning to really enjoy this trip. The hike itself was well organized and most of the accommodations were excellent. As travelers wanting to learn the history of the place I would have 2 tips. Finish before 1st October because all the museums have reduced hours, the bus stops and some pubs or restaurants close. The second tip is get the guide book well in advance and plan your museum/roman fort visits and how you get to accommodations early to avoid disappointment . The mileage estimates given are about 20-30% low when you visit the ruins nearby and walk to your accommodation. One place we stayed deserves particular mention, the Vallum Lodge, it was a 10 minute walk along a road with no appreciable shoulder and fast traffic. Even a police car tried to warn us against walking on the road. We had to do it 4 times because the only evening meal is down the road. Plus the breakfast was bad. Don't stay here if it can be avoided. Would have appreciated local knowledge like providing transportation options from the path to accommodations and what local sites are particularly worth visiting. This was our first trip with Macs, it wont be our last! Everything from booking to the end of our trip was well organised, clearly communicated and fully supported by the Macs team. A really enjoyable trip that was made so by great instructions and clear directions. The accommodation was excellent throughout, including the meals that were pre-booked for us. We couldnt find fault if we tried! Invaluable baggage transfer facility - makes all the difference compared to carrying all your gear in a haversack from overnight stay - e.g. youth hostel - to overnight stay. More accomodations could help walkers with a need to dry rain and sweat on clothing by having drying facilities such as those provided by youth hostels: Nothing luxurious, just to dry wet clothes which can be reused. My questions on the trip planning were answered fully, phone calls were returned that day or the next day, same goes for emails. Staff was very helpful. Trip planning and baggage transfers were done with no hiccups. Yes to recommending this outfit to others and looking into other treks offered through them. This was our second 'trek'--our first being the Camino in Spain 4 years ago. I was a little surprised to rediscover that though I could not call it fun all the time, I do call it extremely satisfying. We loved being off the roads and away from towns and people (met occasional walkers from the other direction, but overall, felt like this was our own walk), walking through endless pastures, sharing space with thousands of sheep and cattle who seemed to care little that we were there. I did find the maps provided a bit difficult to use and most of the time was not sure where we were. The walk seemed to be better signed for walkers going from west to east rather than east to west. Consequently, we spent some time getting back on the trail after veering off. Locals were always friendly and willing to help us with whatever they knew. The B&B's were varied, but always welcoming, ready to please and accommodate our weary bodies and feet! And we were grateful to have our luggage transported from place to place--we had already had the experience of carrying everything on the Camino! Been there done that. So in many ways it was a very different experience from the Camino, and so very worth the experience. If you want to take on the challenge of a long-distance trail, with fantastically scenic walks, steeped in history, and then arrive in your comfortable and welcoming B&B’s every afternoon, feeling a sense of achievement each day, then this tour is for you.